Add color to your desk with the Rubik's® 4-Panel Mini Stock Cube. This is a simpler four-panel-per-side version of the original Rubik's Cube®. 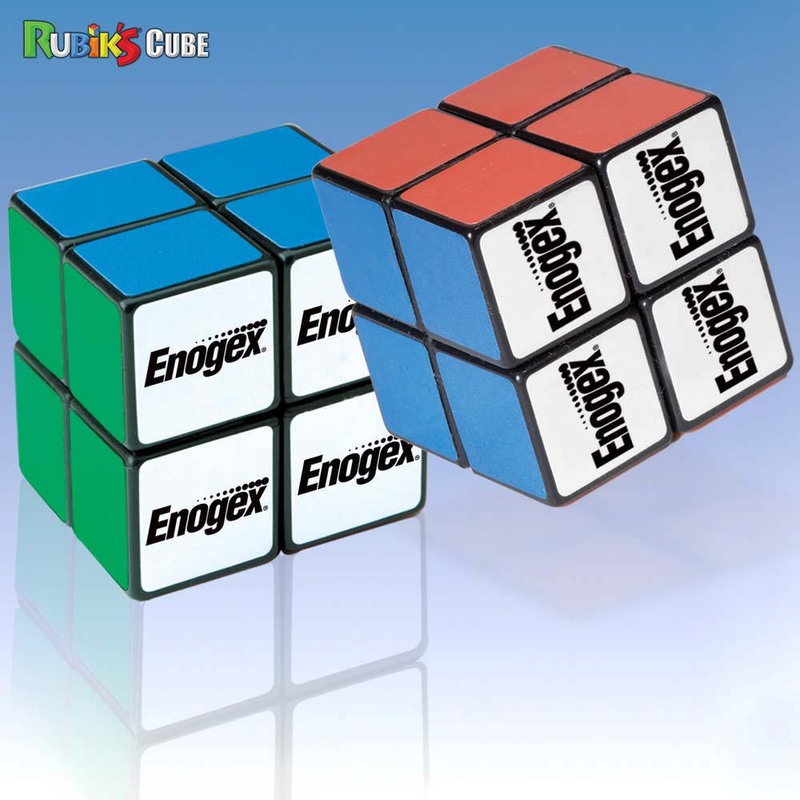 Add color to your desk with the Rubik's® 4-Panel Mini Stock Cube. This is a simpler four-panel-per-side version of the original Rubik's Cube®. It comes in full size 2¼". The cube can be customized on all sides. 100% of the plastic used in this product is pre-consumer recycled plastic. The cube is not available blank. It is sold under license exclusively for promotional use; and not for retail sales. This is a good giveaway gift at conferences, or seminars, or trade fairs.